The fact that Zimbabwe is experiencing an economic crisis is neither surprising nor terribly illuminating; most saw this coming months ago as it became clear that there was a currency crisis in the offing, likely to come due immediately after summer’s presidential elections. Years of the government’s economic smoke and mirrors created a situation in which much of the dollarized economy was backed by bond notes of questionable value, and characterized by widespread use of electronic money worth far less than advertised. When the new finance minister stated the obvious by noting that this system could not continue, Zimbabweans were quick to remember how their assets had spiraled into worthlessness in the past, and panic buying and shortages predictably ensued. But the government’s reaction to the crisis was not a foregone conclusion, and to date it is deeply disappointing. Contradictory statements about how the government plans to navigate the currency crisis have bred suspicion and fear. So has the state’s heavy-handed approach to managing the fallout. The vice president has threatened and scapegoated business owners, accusing them of price gouging and hoarding. Scores of trade unionists were arrested for protesting, or planning to protest, a new two percent tax on electronic transactions – essentially an attempt to squeeze the deeply impoverished population even more to address economic shortfalls. State media trumpets headlines about breakthroughs with the international financial institutions or new investments from abroad, but closer inspection tends to reveal far less than meets the eye. When creditors agree to a payment plan to clear longstanding debts, it doesn’t mean that new loans are coming, or even that arrears will actually get cleared. When start-up hedge funds commit to try to raise capital for unspecified projects in the future, it doesn’t mean that an influx of dollars has been secured. In their quest to paint a picture of a new dawn, Zimbabwean officials keep overselling small and preliminary steps, undermining their own credibility. Confusion, repression, and misdirection seem to be the distinguishing characteristics of the “new dispensation,” and they contribute to citizens’ fundamental lack of confidence in government. 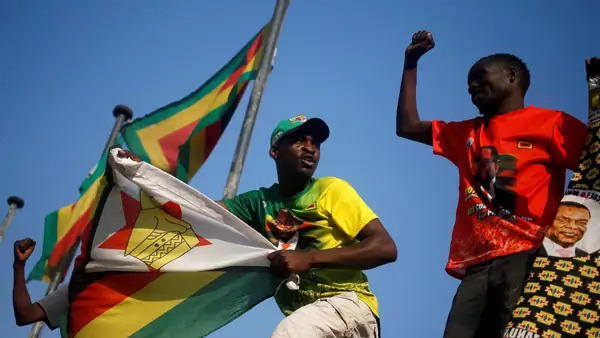 The recent elections were supposed to bolster the legitimacy of the government and give Zimbabwe a solid new basis on which to move forward. But little seems solid and reliable in this new era – including, as the European Union recently noted, the election results themselves.